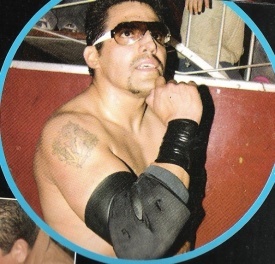 Calo's brother Chris Stone was rumored to have worked under the Super Calo name in 2005 when he jumped to AAA, but that information was never proven. The rumor still floats around, but no one's come up with any evidence. U.S. independent wrestler "The Original" Gino Carusso claims to have worked dates in WCW as Super Calo when the original wasn't available, but as far as anyone can tell, this is not true. 00/11/13 hair (1) Damian 666 Super Caló Plaza de Toros Lauro Luis Longoria - Nuevo Laredo, Tamps.